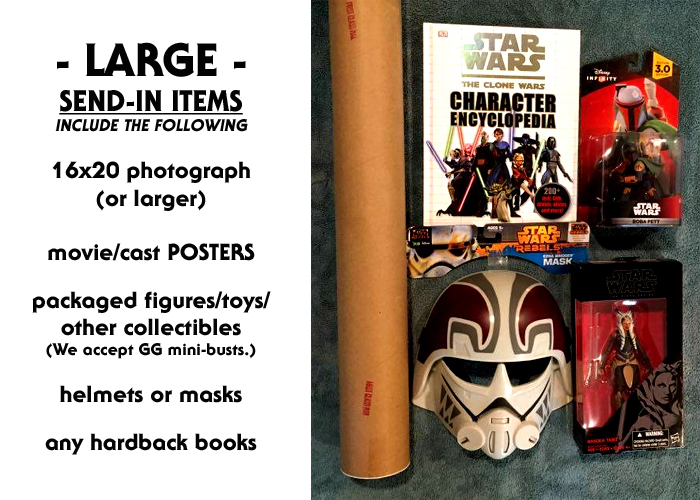 For years Echo Base Media has been gladly accepting your send-in items for every autograph signing we conduct. 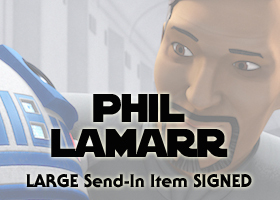 The one-stop send-in shop makes getting your item signed easier than ever. Before placing an order, please read this full page for all the details to ensure you are selecting the correct option for your item(s). Then, check out the current send-in options below for all upcoming signings! SEND-IN ADDRESS: Items must arrive by the specified deadlines to be included. RETURN SHIPPING: We ship items back to the Paypal-verified address, unless instructed otherwise prior to the send-in deadline (contact us). 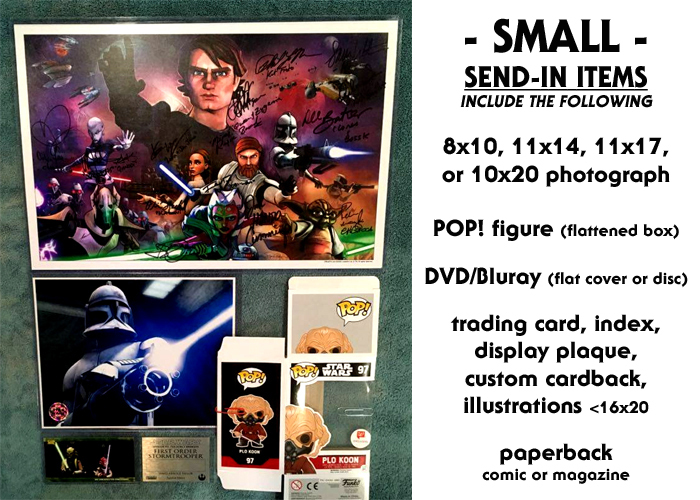 You have the option of enclosing your own return postage for us to use after the signing; otherwise, we will send you a separate invoice through Paypal for return shipping costs. DISCLAIMER: Please feel free to make any specific requests in the corresponding fields. Please understand nothing is guaranteed beyond obtaining the autograph itself. Want an exact type of pen used? Include it with your item. 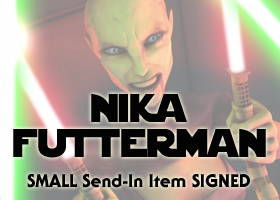 Want personalization, ink color, character name, or have exact placement in mind? Mark your item accordingly with a post-it note.